Auction Selling Lightning Dragon! Starting Bid 1 Steem! There has been a discussion about certain cards being undervalued. I decided to organize a couple of auctions, where I will sell various parts of my collection. The idea is to create an estimate for the value of each card being sold based on the market itself and not on the suggestions of resellers. 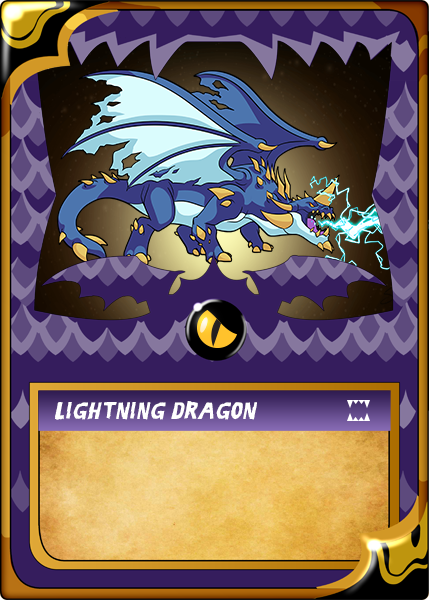 In this auction we will be establishing the value of the Lightning Dragon! At the end of this auction series, I will write an article presenting the find outs. The winning bidder is @allcapsonezero with an amount of 10.000 STEEM - Congratulations! @steembay self votes are being countered by @sadkitten for 1 week starting Thursday, July 12th 2018 because they are one of the highest self voters of the previous week. For more details see this post.